Designed for mountain lovers, Flaine is situated in Haute Savoie and offers a harmonious lifestyle thanks to its originality. 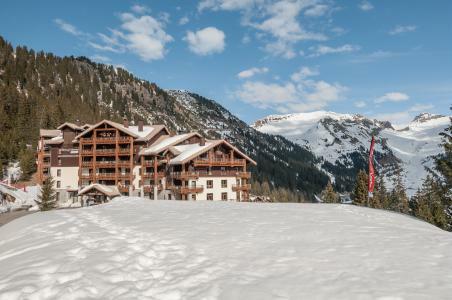 This large snowy village has the look of a large square with no traffic, plenty of restaurants, terraces and boutiques as well as the pistes departure points. Access to the skiing area of the Grand Massif is possible by taking 265km long trails. New activities available include snow buggy rides, snowmobile, kitesurf-snow... Also available are tenpin bowling, swimming pool and also ice skating! Everything for a very active holiday! To help you get your stay to Flaine organized , book your accommodation , your skipasses and your ski equipment all together.